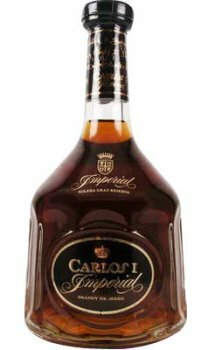 Carlos Imperial Brandy, the best from the Carlos Family. Sit back, relax and savour the smooth, velvety finish of Carlos brandy. It is full, balanced and delicately dry for a taste that perfectly complements every special occasion. It's an excellent way to enjoy life one moment at a time. Limited stock, 1 bottle remaining.